The one thing that has been sorely lacking in my collection of apps was a decent navigator. There was one by Garmin that came with my Samsung Focus, but it was a huge battery drain and cost an exorbitant amount of money before ultimately under delivering. 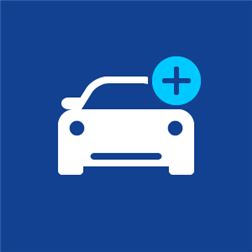 HERE Drive+ rectifies every problem I've had with navigation apps on Windows Phone. It's free, incredibly easy to use, and does what it's designed to efficiently. Fore the past month, I've been using HERE Drive+ exclusively when going on service calls or driving anywhere outside of town. Even when crossing state lines, I've been guided to my destination without missing or turn or waiting for the app to recalibrate mid-drive. And with the way the app is integrated into the system, I can click any address in my calendar and have a route planned. The navigator offers clear instructions well in advance of each turn. This is a first with any GPS I've encountered and the one feature that truly impresses me each time I use it. The app also recognizes local speed limits up to the inch of their enforcement and will let out a single audible alert to let drivers know if they're speeding. It's a nice alert without being annoying. Locations can easily be saved as favorites and accessed later. While driving, the app also updates with real time traffic conditions to give an accurate arrival time. And to be honest, I've yet to have a drive that didn't end exactly when the app predicted it. Checking the screen while driving also reveals nearby attractions like restaurants and gas stations. I can personally attest to how handy this is. Another feature is to tag your parked car and find it again. I've yet to try this feature, but will delve into it when I have the next opportunity. HERE Drive+ is the finest navigation app that I have used. And since it costs nothing, there's nothing risk by trying it out. It is a definite must have for any Windows Phone user.